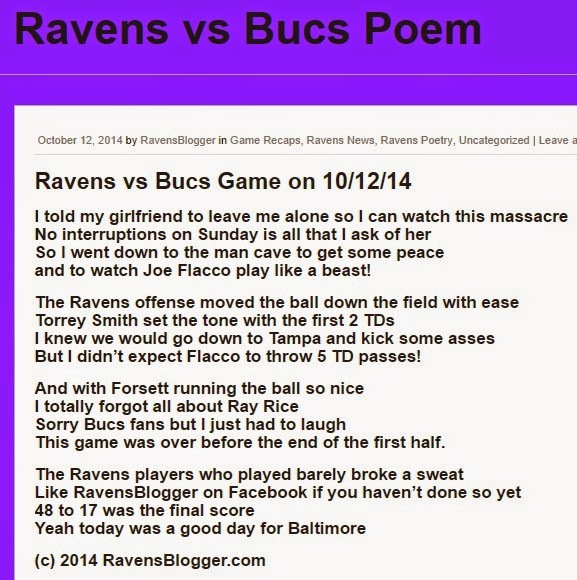 Baltimore Ravens Chat: Ravens Give Bucs a Beat Down They'll Never Forget! 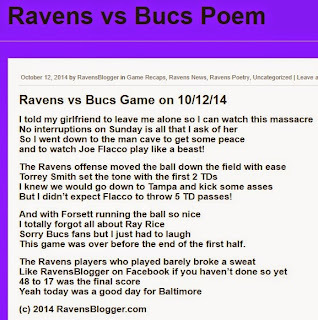 Ravens Give Bucs a Beat Down They'll Never Forget! The Ravens vs Bucs game turned looked more like a massacre. The Tampa Bay Buccaneers were no match for the high flying Baltimore Ravens. Joe Flacco had a career day throwing 5 TD passes tying a franchise record. Two of the five TDs were caught by wide receiver Torrey Smith. The Ravens scored on their first six straight possessions to begin the game!